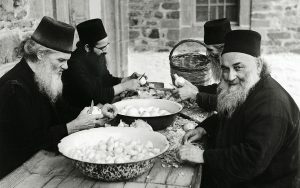 For the Orthodox this is the fourth week of Great Lent. The Veneration of the Cross. Three weeks of the fast are already behind us. 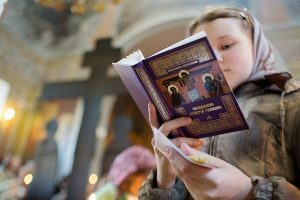 For the Orthodox this is the fourth week of Great Lent. The Veneration of the Cross. Three weeks of the fast are already behind us. Those who fasted to fit in with others have already dropped out and returned to their sausages. Those who have remained “standing fast” have occasion to give themselves a good grade: I am not as other men are [Luke 18:11]. And here, before our deep sense of satisfaction at our personal righteousness, is suddenly placed the Cross. Memory of the inconveniences we have borne on our Lenten journey is annihilated before the memory of the anguish of the Cross. The Cross is a stop-sign, an obstacle. It is above all a sign that your personal path to your chosen destination (salvation, self-perfection, purification) is hopeless. For on the Cross is He Who in Middle-earth is called Iluvatar, in Narnia is called Aslan, and in the Greek text of the Symbol of Faith is called the Poet. That is, the Maker. If such help is being sent from such a source, it means that my ascent has been illusory and that a world of catastrophe has been constructed around me, not without my efforts. Christianity is a severe religion. 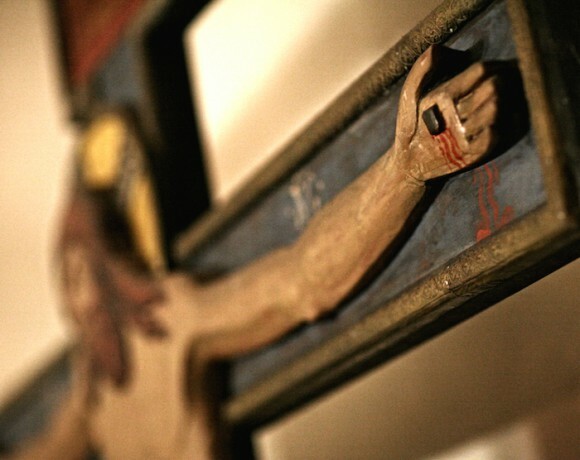 The Cross is the primary act of the God in Whom Christians believe. And within this act of His there is simultaneously inconceivable help and an inconceivably severe diagnosis for us. When help is provided in such overwhelming measure it is no longer called help, but salvation. People need to be “saved” when the threat has increased to a debilitating measure. Christianity, while exalting man (“you are not dust,” “for us men, and for our salvation,” “God Himself became like you”) simultaneously abases him (“forget about self-perfection and self-salvation, you soteriological sad sack”). Put aside the success of yogis, devotees, and interpreters. Ritual-social “law made nothing perfect,” says the first Christian who was ever a very advanced “interpreter” (Pharisee) [Hebrews 7:19]. Having contemplated the Cross, this same Paul now regards all his past achievements, successes, and advantages as “dung” (Philippians 3:8). At the foot of the Cross is a large pile made up of Olympic medals, generals’ epaulets, doctoral degrees, and black belts. Human badges of excellence and advantage are suddenly felt to be very small. They gave a few days of joy and triumph, but were not able to fill the pain and abyss of the soul. Thus does the Cross destroy our little worlds. Yet it upholds the universe. The Cross is a form of resistance. If God cares for man to the point of crucifixion, it follows that one can rely on such a God and on His Cross. Man is not lost and not dissolved into the ethereal depths. The Cross protects him from the “ancient evil.” Therefore, under the shadow of the Cross life is made possible. In the first article of the Nicene Creed, the word translated as “Maker” is poiitis, which is the same word used for “poet” (from poieo, “I make”). From the song “I’m Already Tired” (Ia uzhe ustal).